This soapy drama launches Season 3 tonight, then moves into its regular Wednesday berth tomorrow. 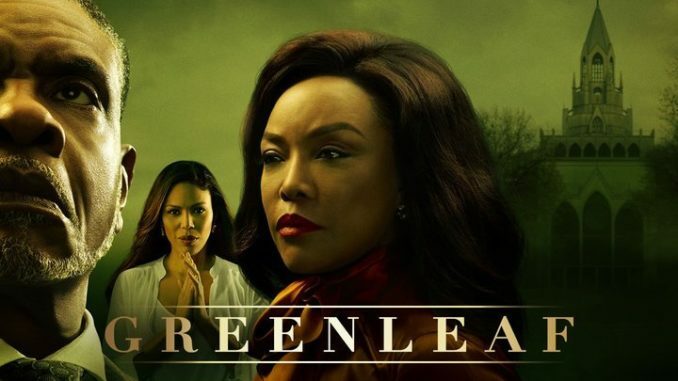 In the premiere, "Strange Currents," the Greenleafs find their church slapped with a $2 million tax bill, just after Lady Mae (Lynn Whitfield) kicks the Bishop (Keith David) out of the mansion for his serial infidelities. While Lady Mae reluctantly considers letting her husband return to present a united front to their congregation, Grace (Merle Dandridge) wants payback from Rochelle Cross (LeToya Luckett) for wrecking her parents’ marriage.